Happy Friday! Can you believe there are only 2 more Fridays until Christmas?! Crazy, I know. 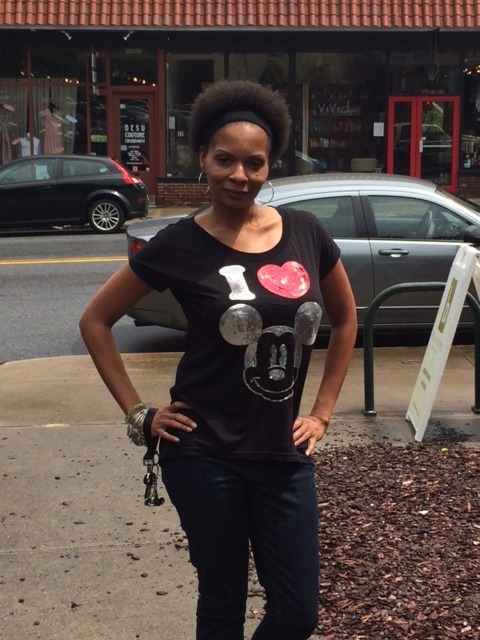 Wondering what to get your Disney obsessed NDK this year? Why not give the gift of a book? Disney has a few new great books that are on the shelves now! Add these under your tree and the give the gift that keeps on giving! 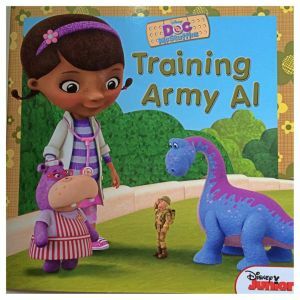 Based on the episode, “Training Army Al,” that premiered on Veteran’s Day, this book is wonderful for children who are in military families or deployment situations. Of course, this story could also be adapted for any kind of separation a child may have to face. It is always easier for a child to understand life situations when identifiable characters are faced with similar situations. This is a comforting story for any child; Doc is gonna make you feel better! The toys know that Donny’s Badger Scout campout is nothing but toy trouble. But one brave toy has to join Donny on the trip, so Army Al volunteers. 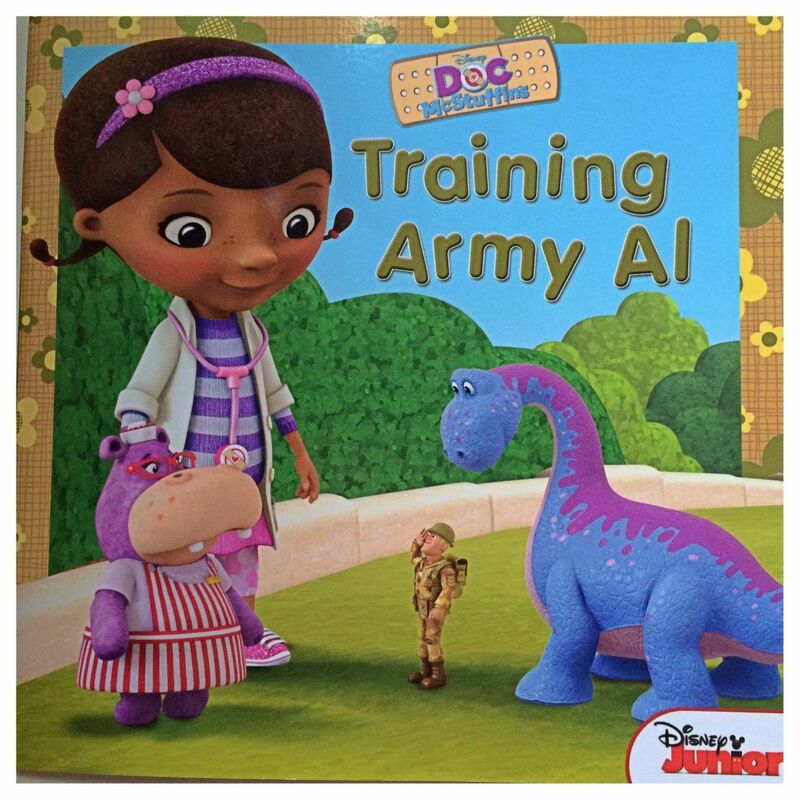 First he needs a checkup, and then he’ll have to pass a toy boot camp. Is Army Al up to the challenge? Doc McStuffins believes he is! 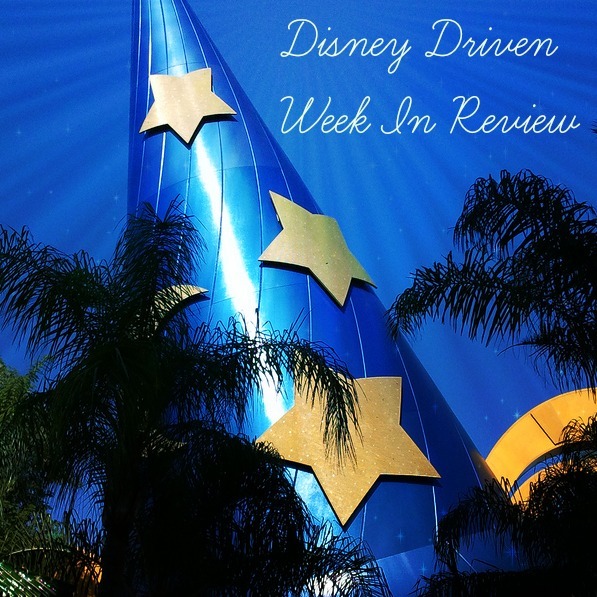 The NDK Review: I really liked this book. 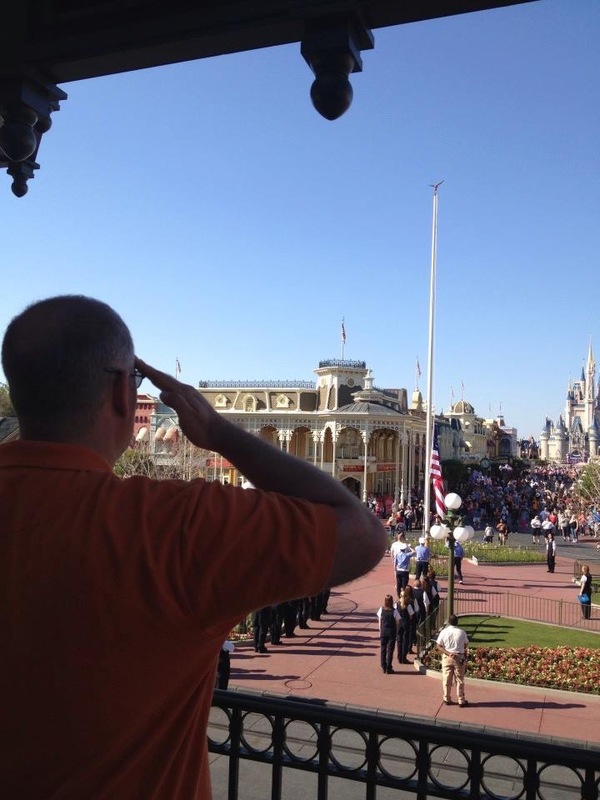 I think Army Al was the best choice for Donny to take on his trip. I think this story would help somebody if someone had to go away for a while. It’s always sad when people leave, but happy when they come back! 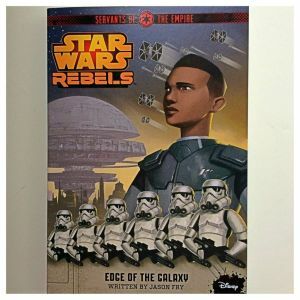 Based on the episode, “Rise of the Old Masters,” this book is great for any Star Wars Rebels fan! 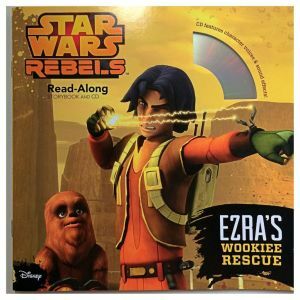 Even if your reader is sensitive, this book allows for your young Star Wars reader to follow along with the story without the “scare” factor. The images are straight from the show, which give the story that “real feel.” This story also includes two sheets of stickers! The last of the Jedi? When the rebels receive a secret broadcast, they discover that one of the great Jedi Masters is still alive-and a captive of the Empire! 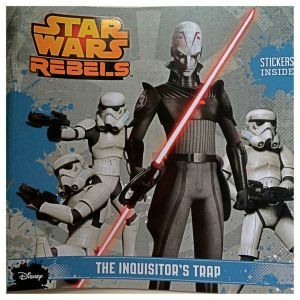 To save her, Kanan, Ezra, and their friends must break into her heavily guarded prison. Can they find the lost Jedi? Or will the Inquisitor find them first? The NDK Review: I don’t like the Inquisitor. He’s just creepy! I like Star Wars, but I don’t watch Rebels. 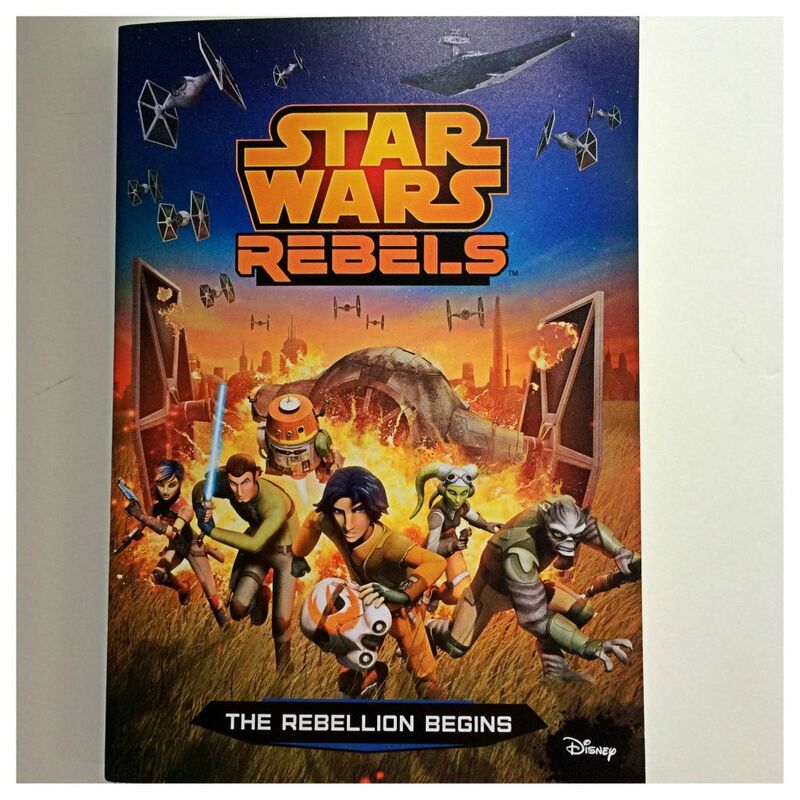 I really like the Star Wars Rebels books. They aren’t as scary as the show. Reading these books lets me still follow the story, without the scary parts! Who doesn’t love a story about Wookies? Based on the episode, “Spark of Rebellion,” this story follows the same format of “read-along” stories that we grew up with! The front page introduces the story and includes that famous line, “Let’s begin now.” Featuring realistic images, character voices and sound effects, this book is sure to be a hit with your young Star Wars fan! It’s not wise to upset a Wookie…. When a group of Wookies is captured and enslaved by the Galactic Empire, it’s up to Kanan, Ezra, and the rest of the rebels to save them! Follow along with all the action in this book-and-CD set, featuring thrilling sound effects, word-for-word narration, and real character voices. The NDK Review: I really like this book because it comes with a CD and I can listen to it. This book is the first episode, and I really like that. I hope more books come out like this. The pictures are just like the TV show. The CD was great. It was almost like watching the show. The sound effects were awesome. I liked the “KABOOM” sounds. 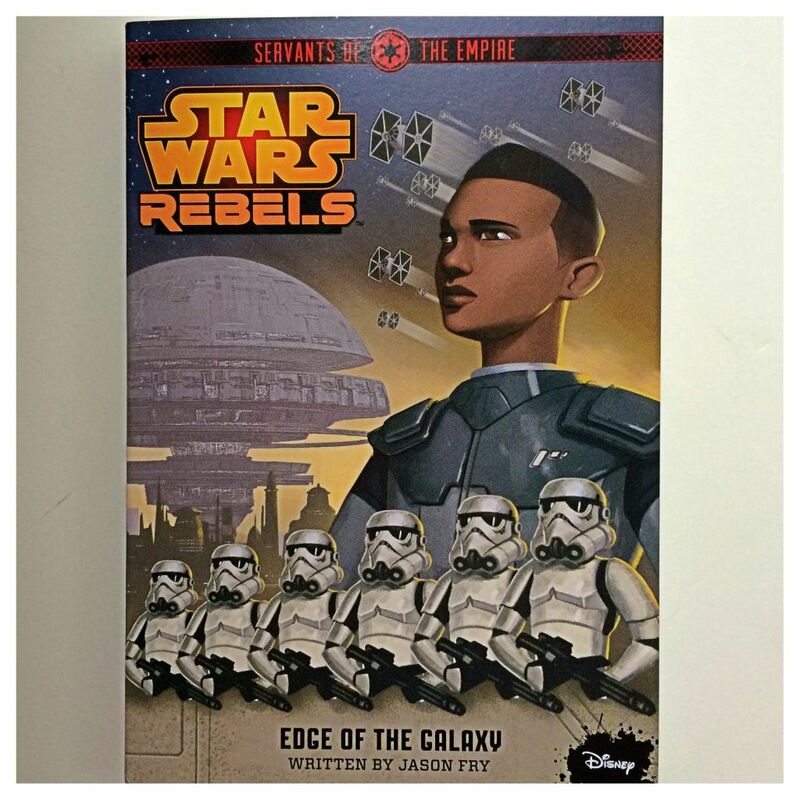 Reaching out to the older readers, “The Rebellion Begins” is a great chapter book for Star Wars fans. With 20 chapters, this is not meant for the shy reader. The story is based on the episode, “Spark of Rebellion,” and includes color images in the center of the book. Ezra Bridger knows how to take care of himself. Growing up in the shadow of the Galactic Empire, Ezra has always stolen what he can to survive-and to mess with the Empire. But when one of Ezra’s heists goes terribly wrong, he finds himself thrown together with a team of rebels. Led by brash maverick Kanan Jarrus and fearless pilot Hera Syndulla, the rebels are on a mission to free enslaved Wookies from an Imperial prison. Now Ezra must decide whether to go back to his simple life on Lothal or join the rebels in their fight for freedom. The NDK Review: This was a great book. It’s not like one of the picture books. It has a lot more detail and a few scary parts. It was a long book, but I really like to read, so that was okay. It’s a great book for anyone my age or older that likes to read! In a new series of stories, the “Servants of the Empire” will give your older readers a more in-depth look at characters. Not based on an episode, this book takes you beyond the story you see on the show.This particular story, the first in the series, gives you an inside look at the life of Zare Leonis. Zare Leonis seems destined to become a poster boy for the Empire. His sister, Dhara, has been accepted into the esteemed Imperial Academy on Lothal, and Zare is confident he’ll join her in a year’s time. But a year can bring plenty of unwelcome changes. Not only does he begin to uncover the Empire’s destructive plans for Lothal and the livelihood of its people, but his unease hits home when Dhara mysteriously goes missing. Zare is forced to question everything and rethink what it means to be a good servant to the Empire. This first book in an original series gives readers an insider’s look into a different part of the world of Star Wars Rebels. The NDK Review: This book is definitely for someone older who likes to read. There weren’t any pictures, but it is a real chapter book. I like how the book told more about Zare. I would like to know more about other characters too.